This exclusive forum is designed for BSA member and participating manufacturer personnel responsible for the HR functions within their company. The fifth annual forum will address trends in hiring hourly as well as University entry level personnel, trends in development including mentoring and knowledge transfer, and trends in current employment law. The 2019 BSA Talent Forum and Winter Meeting schedules have been developed to make it easy for BSA members and participating manufacturers to attend BOTH events without conflict. The Fifth BSA Talent Forum: Recruitment, Development and Retention will commence with afternoon presentations on Monday, January 21. That evening, Forum attendees will join BSA Winter Meeting Attendees for a Reception and Dinner. Be sure your company is well-represented for relevant programming and valuable relationship building. See below for discounts on registering multiple attendees from your company! You can also call the Renaissance Tampa International Plaza hotel at (813) 877-9200 and reference the Bearing Specialists Association. Book today, the discounted rate of $239.00 per night has been extended to January 4, 2019. Cancellations received by December 27, 2018 will receive a full refund. No refunds will be issued after December 27, 2018. Cancellations must be in writing and sent to info@bsahome.org. Payment can be made online or by fax. The following credit cards are accepted by BSA: VISA, MasterCard, and American Express. Payments by check can be mailed to BSA, 800 Roosevelt Road, C-312, Glen Ellyn, IL 60137. Photography and video recording may be used throughout BSA's Winter Meeting and Talent Forum and at related activities. Registration and attendance at and/or participation in the BSA Winter Meeting or Talent Forum or other activities constitutes an agreement and consent by each registrant or participant for BSA and/or its licensees to use and distribute (both now and in the future) the image, likeness and voice of each registrant or participant (or family members) in photographs, videotapes, printed material, electronic reproductions and audio recording that are taken or recorded at such event or related activities. If you have any questions, please contact BSA at info@bsahome.org or 630-858-3838. All times listed are Eastern US. Ignacio J. Garcia, Shareholder attorney from Ogletree, Deakins, Nash, Smoak & Stewart, P.C. Expert presenters, relevant issues, and valuable insight for your company! Pamela M. Fillmon, Founder and President of Fillmon and Associates, LLC. Pamela merges vision and best practices to impact retention and engagement by further enhancing existing capacities with respect to the needs of the business. Greg Denaro, Insperity Performance Specialist. Greg has 42 years of diverse Human Resource/Strategic Planning experience within the Public and Private Sectors. Ignacio J. Garcia, Shareholder attorney from Ogletree, Deakins, Nash, Smoak & Stewart, P.C. 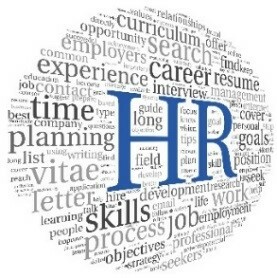 Ignacio focuses on labor, employment and HR matters. He has state and federal litigation experience. Dr. Scott Keller, Center For Supply Chain Management Excellence Program, University of West Florida. This session will provide a first-hand perspective from students themselves as well as Professor-led survey analysis of the future Sales Workforce. This has been a valuable program session in the past four BSA Talent Forums. Don’t miss the opportunity to discuss unique human resources concerns and possible resolutions in the bearing industry. Guest rooms at The Renaissance Tampa International Plaza Hotel are available at the BSA event discount of $239.00 (plus tax). Self-parking is complimentary. Cancellation Policy: Reservations must be cancelled by 4PM on the arrival date, otherwise a cancellation fee will be applied. How do I learn more about Tampa? For a sneak peek at what Tampa has to offer for local entertainment and restaurants, check-out the Tampa website online. When should I arrive at the Renaissance Tampa International Plaza Hotel? The BSA Committee and Task Force Meetings will be held Sunday, January 20 and Monday, January 21 and the Board meeting will be held Tuesday, January 22. The Talent Forum will be held on Monday Afternoon, January 21 and Tuesday Morning, January 22. Please review the schedule above for meeting times and to decide if you would like to arrive Saturday or Sunday Morning. All attendees should plan on attending the Monday dinner event.